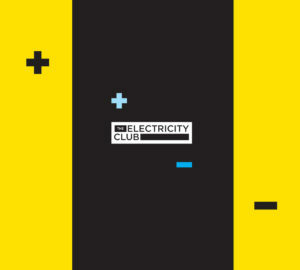 One of the best electronic albums of 2015 actually first broke cover in Autumn 2014. Reissued by Heavenly Recordings, ‘Y Dydd Olaf’ by Welsh songstress GWENNO confronted issues such as media manipulation, patriarchy and the decline of minority languages, all within an enigmatic brand of captivating lo-fi electronica. The album’s title comes from Welsh author Owain Owain’s sci-fi novel ‘Y Dydd Olaf’ where brain-invading robots overpower humanity, except for Welsh speakers whose thoughts they can’t penetrate. ‘Fratolish Hiang Perpeshki’ is possibly the collection’s most uptempo number. Utilising Linn Drum sounds, blippy synths and bursts of muted guitar, there is a hauntingly spacey musicality about it. The track is a sonic sandwich that reflects not only GWENNO’s cultural heritage, but also her previous outings in pop, working with former GARY NUMAN band member Chris Payne, THE HUMAN LEAGUE’s one-time producer Martin Rushent and Australian dance combo PNAU. ‘Fratolish Hiang Perpeshki’ has just received a yesterday’s tomorrow video treatment directed by Jacek Davis. With fast cuts coupled to a grainy cerebral quality, it all comes over wonderfully like a surreal TV drama from days gone by, back when BBC1 and ITV were the only two channels on air; the first verse suggests that “Society is retreating and the town is losing ground” and that “the machines are deciding”! With beautiful, traditionally derived melodies coming over like HANNAH PEEL meeting STEREOLAB and BROADCAST, Gwenno Saunders’ music encompasses cosmic moods and synthetic textures produced by her husband Rhys Edwards. Her talent has certainly been recognised across the Atlantic, with an invitation to play the prestigious Moogfest 2016 in May alongside electronic luminaries such as GARY NUMAN, LAURIE ANDERSON and THE ORB. 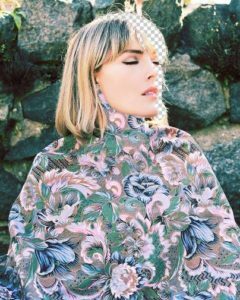 In an international electronic pop market where many Swedish, Norwegian, German and Greek acts sing in English, GWENNO’s non-conformist approach of using the Welsh and Cornish languages provides a benchmark for what can be achieved artistically by a British artist.